Although the initial part of this article is about how Google improved its onboarding results by 25 percent, the unique approach that it used reveals many other valuable lessons that HR executives should note. Those lessons include the importance of experimenting with different HR solutions, the need to use data to identify what works, and the value of working through managers using simple just-in-time checklist alerts. Let’s start off with Google’s simple but high-impact onboarding approach. Onboarding is one of the least measured aspects of human resources. And as a result of that lack of metrics, most organizations can only guess as to which of their onboarding features make a measurable difference. However, Google’s analytics team led the way in trying closely measured experiments in order to discover which factors have the highest positive impact on getting new hires up to minimum productivity levels faster. Have a role and responsibilities discussion. Match your new hire with a peer buddy. Help your new hire build a social network. Set up onboarding check-ins once a month for your new hire’s first six months. The five recommended actions of this reminder email checklist cover increasing two-way communications, building the employees support network, and scheduling periodic meetings with the new hire. But the reasons why the approach worked are as important as the action steps in the message. HR has many approaches for getting managers to act in the expected way, including rules, required training, and information provided on internal websites. But the fact is that managers are quite busy and if there is no sense of urgency, they often don’t see the value in reading the provided HR information. Even if they do read it, and they might simply forget to implement the recommended actions when an onboarding actually occurs weeks or months later. In direct contrast, the just-in-time approach works because rather than a mass mailing, only the managers who have a new hire receive it. And the manager receives the information just at the moment when they realize they need to take immediate action (in Google’s case they receive the information on Sunday, literally the day before the new hire starts). The message is sent precisely at the time when the manager’s “sense of urgency” is at its highest. In the Google onboarding case, the email is simply a reminder, and the manager is not required to take any specific action by HR. This lack of coercion or pressure is important because many managers resist being told what to do. They want to own the process, so the subtlety of the message and the voluntary aspect can make them feel like they are in control. Google’s approach is also effective because of the simplicity of the message that they send. Rather than sending a comprehensive manual, provide all of the required information that a manager needs in a single page email and in a scannable format. The manager will likely be relieved when they realize that they won’t need to click on a link or read volumes before they can act. In science, it is quite common to try experiments in order to identify what works and what doesn’t work. And even though experimentation is quite rare in HR, it is not at Google. Experimentally trying new approaches allows HR to compare the results between the current practice and the new approach. And when HR has hard data proving that their new approach improves business results (in this case, new hires begin producing meaningful results much earlier), that effectiveness data can be passed on to managers. Knowing that an approach results in a 25 percent improvement will further spur them to act correctly because they are used to making decisions based on data. As noted earlier, busy managers often resist reading even a small amount of narrative material. However, they do like checklists because they are effective, simple to understand, and easy to follow. And if the checklist is reasonably short (in the Google case there are only five recommended items) and it is received just in time, the probability that the target will use the checklist and act appropriately increase dramatically. 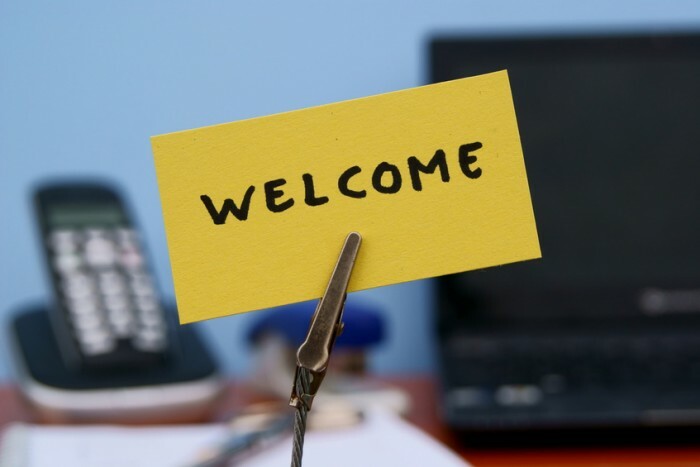 At most corporations, the majority of the onboarding time and resources are devoted to centralized corporate onboarding. Centralized onboarding is where HR manages sign-ups and goes over corporate values, processes, and culture. But I have found that the highest impact on productivity and retention actually results from decentralized onboarding that occurs at the team level. And although Google has a three-day corporate onboarding process, it appears that these localized team-level onboarding actions related to communications, networking, and regularly scheduled meetings have a much larger impact on reaching new hire productivity faster. Any process that improves performance by 25 percent simply can’t be ignored. And because the Google approach is so simple, it’s easy to copy and adapt to your firm. The only major additional step that I recommend is that HR in your organization should interview or survey a sample of both hiring managers and recent new hires to identify which onboarding factors actually had the most positive impact and what elements need to be added to the current process. And finally, at least in my book, Google should be praised for openly revealing the details of their onboarding approach (a description can be found in Laszlo Bock’s book “Work Rules”) and for showing the value of providing simple voluntary just-in-time help.